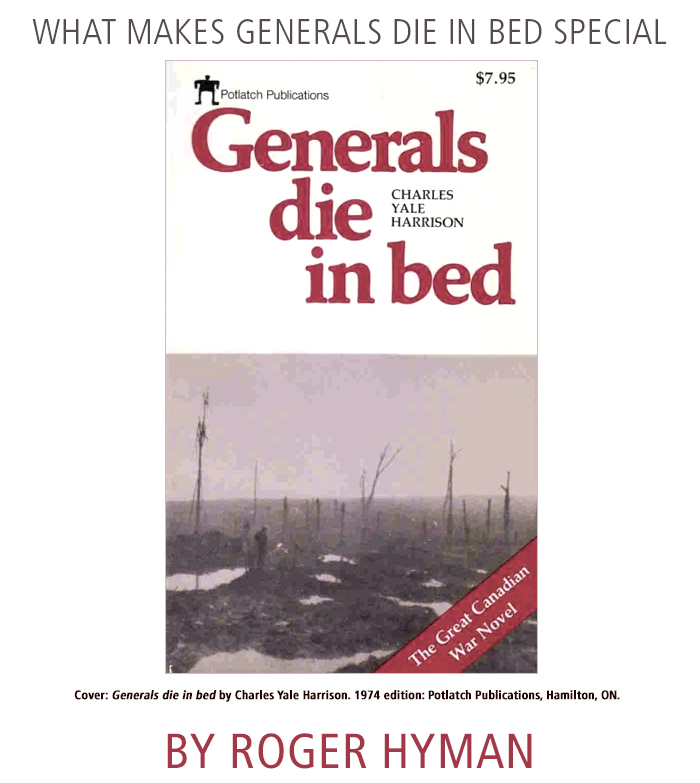 In 1972 Robert Nielsen of Potlatch Press introduced me to Charles Yale Harrison’s Generals die in bed, a novel partially based on Harrison’s experience in the Canadian army in World War One. A best-seller when it was published in 1930, it was, by the time Potlatch reprinted it, largely unknown. Nielsen's most recent introduction quite rightly calls it “a shockingly frank, fictionalized portrayal of the horrors encountered by a gaggle of soldiers stuck in that meat grinder, World War One. It is also a magnificent—and controversial—classic of the literature of human combat” (ii).